On Monday morning, a United States-made armoured Humvee of the kind used by Afghanistan’s strained security forces entered a military compound in the central province of Maidan Wardak. 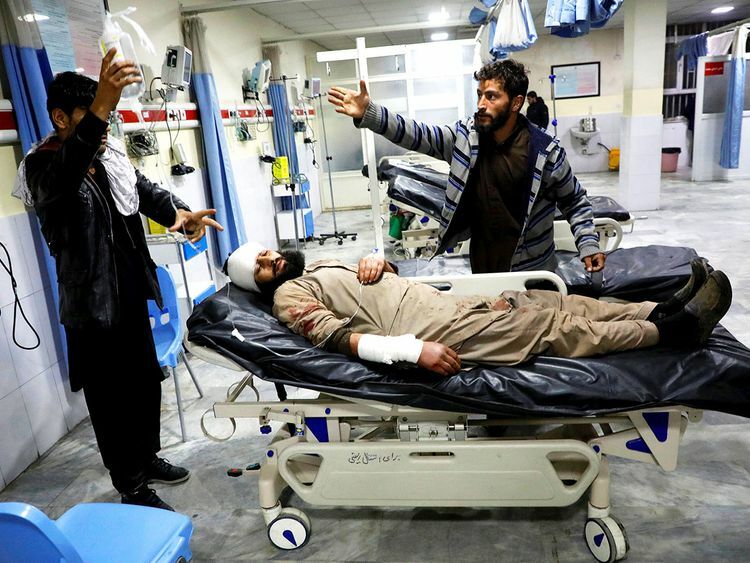 But the vehicle was then detonated in an audacious and brazen attack by the Taliban, with the blast killing some 100 people who were present or nearby at the time. The attack on the campus of the National Directorate of Security was meticulously planned and executed, showing that the Taliban still have the ability to strike at times and places of their choosing, and that even the most secure targets, in this case the local security headquarters itself. Clearly, after two decades of terror, there is now a need for peace, and Afghans’ desire for stability and security has yet to be answered by a national government found wanting in this regard. While there have been recent moves to negotiate with the Taliban leadership, the latest attack shows that they are seemingly unwilling to fully commit to the path of peace even while they partially engage in the process of talks. In exploratory talks recently in Abu Dhabi and in efforts currently underway in Qatar, the Taliban have refused to engage in direct negotiations with the administration in Kabul. And that’s disappointing. For any peace effort to be successful, Taliban need to accept the long-standing reality that the administration in Kabul is the legitimate government of Afghanistan, one that is backed by the international community, and one that is supported by the international stabilisation forces stationed there. So far, the Taliban representatives have refused to talk directly with Kabul. That refusal is not helpful. The international stabilisation forces and the security services of Afghanistan have worked long and hard, paying a heavy price for the gains made in civilian society thus far in the current chapter of the nation’s progress and modernisation. Certainly, the decision by the current administration in Washington to draw down the numbers of its service members on the ground in Afghanistan does not bode well for international efforts to maintain peace and stability across its troubled provinces. Doing so merely helps create a vacuum that benefits those intent on undoing all the good work done by the Afghan government and international forces. The correct approach would be for the US to delay its drawdown until the right conditions for peace and dialogue prevail in Afghanistan.